I made it through my first Mother’s Day without my mom. Whew. I knew I would feel emotional, and perhaps it was best that my kids had to work on Sunday so came the night before for dinner and some fun family time. 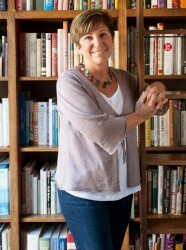 And although I know this is a bad habit, when I’m feeling a little bit blue, I like to pamper myself with comfort food. And who doesn’t love a good cheese sauce? 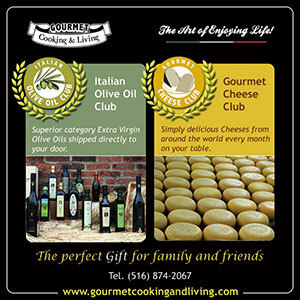 You just make a simple white sauce and then melt fontina cheese into the sauce and season to taste with salt and pepper. 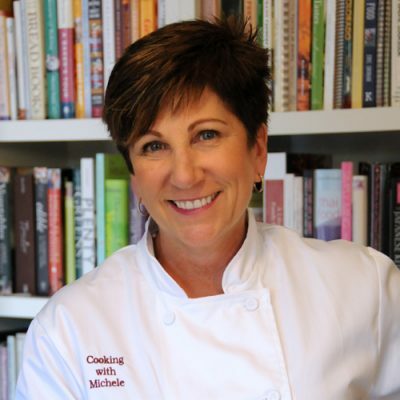 And the nice thing about a white sauce is that you can use low fat milk, whole milk, half and half, or heavy cream, depending on just how much comforting you need. 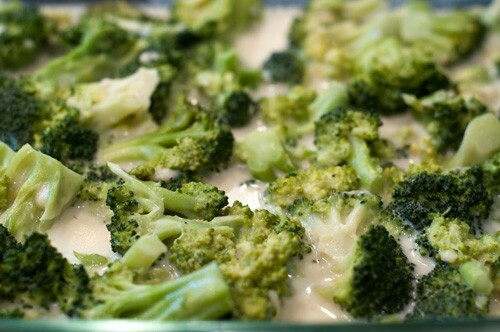 Mix the sauce with the blanched broccoli and pour into a casserole dish. And then top with bread crumbs and Parmigianno Reggiano cheese. Bake until the top is nicely browned and the casserole is bubbly. I promise you’ll feel better after the first bite. 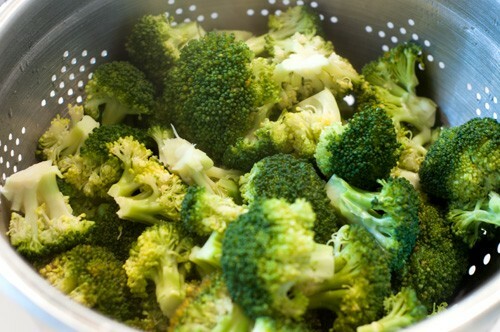 Blanche the broccoli for 2-3 minutes in boiling water, drain, and set aside. Heat the butter, oil, and flour together, whisking until bubbling, for about 2-3 minutes. 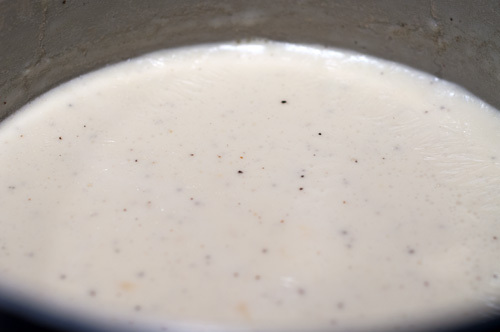 Slowly whisk in the milk a little at a time until it is all incorporated and the sauce is bubbling and thickened. Stir in the cheese until melted and then season with salt and pepper to taste. 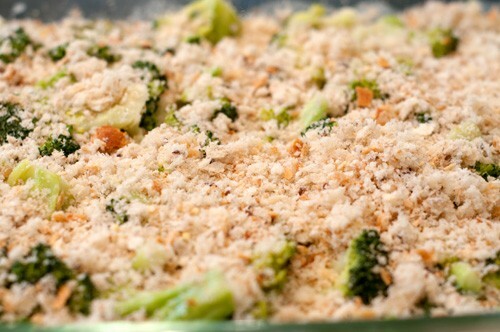 Combine the broccoli and cheese sauce and pour into a 13x9x2-inch casserole dish. 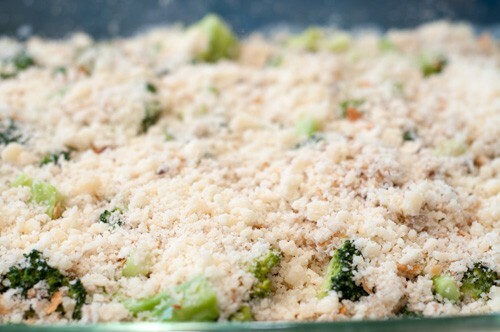 Top with the breadcrumbs and then with the cheese. Bake covered, for 30 minutes, then uncover and place under the broiler for a couple of minutes to brown the top.